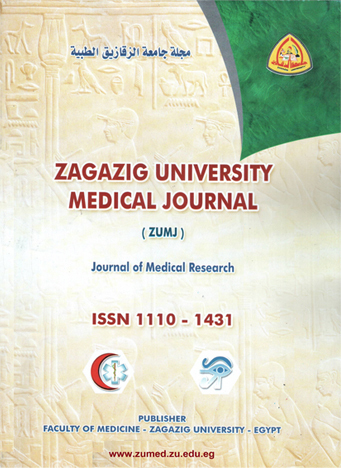 2general organization for teaching hospitals and institutes, egypt, Said Abdelmonem, faculty of medicine zagazig university. Objective; this study is carried out to assess the efficacy of adenoidectomy in infants less than 1 year with OSA provided that no craniofacial anomalies or neuromuscular disease. Background; Pediatric obstructive sleep apnea is most commonly caused by adenoid hypertrophy. Although adenoidectomy is the only effective treatment for adenoid hypertrophy, it is rarely performed in infants less than 1 year old. Materials and methods; Twenty infants less than 1 year old with a triad of upper airway obstruction symptoms, findings of obstructing adenoids, and obstructive sleep apnea undergo adenoidectomy will be included in our study. This is a retrospective study reviewing each infant's clinical data, including presenting symptoms, physical examination findings, and results of the investigations such as polysomnography, endoscopy, and echocardiography. With careful preoperative and postoperative monitoring, the 20 infants underwent adenoidectomy. Results: The infants' ages ranged from 8 to 12 months, with a mean of 10 months. There were 13 boys and 7Girls. The length of follow-up ranged from 6 to 16 months, with a mean of 10 months (median, 10.5 months).The most common presenting symptoms were noisy breathing, usually snoring in19 infants (95 %), apnea in 18 infants (90%) After the adenoidectomy all infants showed dramatic improvement with disappearance of symptoms of upper airway obstruction, failure to thrive, and pulmonary hypertension. Conclusions; Adenoidectomy was found to be sufficient and curative for such infants.